Thank you for all your help in finding our home! You listened to us describe everything we were looking for and then you crafted a plan and mapped a nice variety of homes for us to look at. Once we found the home of our dreams, you helped make the purchasing process run smoothly. We called you countless times for so many reasons and you we always there. It also meant a lot to us as we were relocating from out of state that you had a solid network of subcontractors and associates to assure that all went well. We appreciate all your time and caring. For many years my wife and I had been considering the idea of purchasing an investment property. With such great rates and real estate options, now was the time. We reached out to Kim & Dave Stone because of our relationship through the Junior Woman’s Club of Williamsburg. Kim and Dave are consummate professionals, exceptional agents and a wealth of real estate and area knowledge. They do not hesitate to express their direct, honest and courteous opinion regarding properties, locations and the real estate process. I had been told to never go into business with your friends as it may strain the relationship. In this case, it couldn't be farther from the truth. Kim and Dave are the real deal in Williamsburg and provided us the three "P's" we were looking for: a 'Property' that fit our need; 'Professionalism' that is hard to find now-a-days; and remarkable 'Patience' to guide and support us throughout the process. I was so blessed to have Kim & Dave Stone to work with me throughout my relocation process from Arizona to Williamsburg, Virginia. This was the first time I was purchasing a house on my own and moving across country. After my first conversation with them I knew that everything was going to work out just fine. They listened to my requirements and offered suggestions/options whenever concerns arose. I knew the community I wanted to live in but was not sure whether I wanted a new home or a resale. Dave and Kim continually reviewed the available resales as well as the builder’s home sites for me, emailed me information and followed up with phone conversations. They guided me every step of the way and when I decided to purchase a new home, Dave scheduled the home inspection for me, was there with me throughout the builder’s “walk-through” and was present at the actual closing. I could not have asked for anything more from either one of them. I gladly recommend them to others not just because of their wealth of knowledge of the Williamsburg area and the real estate business but also because they are ‘honest, dependable, trustworthy, business people’. When asked "Whom I would recommend as a real estate agent?" I must admit it’s a tough choice as to which of the Stone family I would recommend first. Both Dave and Kim have been a blessing in my life. My company has used their service for commercial real estate and was very satisfied with their services. When we are ready to sell our home or purchase another they will be my only call for taking care of my family’s needs. The Stone team stands firm with all the strong family values and business ethics to handle all my needs. So if you need commercial help, personal help (home) or just some good advice. Either of the Stone family should be your only call. Kim & Dave were great to work with. It was a pleasure to be able to work with people that were not only dedicated to us, but listened to our needs & wants. Kim was always available to show us a dozen or so homes and did all kinds of research on each one of them before showing them to us. Dave was able to provide us invaluable information on home sites, appraisals, and home inspections that allowed us to stay on top of our builder through the entire building process. They made everything so easy and we'll definitely come back to them when we are ready to sell/buy again. 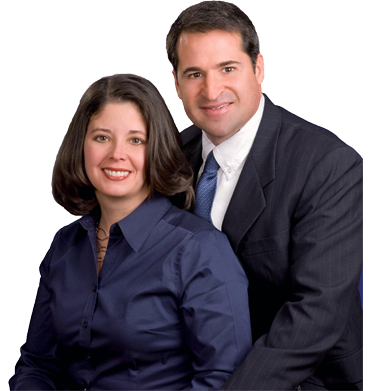 Dave and Kim Stone have represented me both in the sale and purchase of my homes in Williamsburg. I cannot say enough of their local knowledge and breadth of experience they have in the real estate business. They always have straight forward answers and guidance I need without the clutter and confusion I had experienced in the past. Very refreshing! The Stone’s are indispensable. Dave and Kim are my go to real estate folks! Just wanted to write this simple letter of appreciation for the professional experience I enjoyed while working with your company during the residential sale, search and purchase of my two homes last year, 2013. As you know all too well, neither the sale nor the purchase went as smoothly as I imagine many folks experience (due solely to the purchaser and seller, to I include myself, I might add). But I have no doubt that without your perseverance and dependable rigorous efforts the deals simply would not have occurred, nor would I have found the wonderful home I currently have. Throughout each experience I found contentious periods to be gratifying, waiting periods to be rewarding, the advice and recommendations to have a spot-on stick-to-itiveness that I am quite certain others cannot match. The communication was constant, the professionalism unwavering, always authentic and the humor just plain fun. Even while you guys were on vacation the communication kept flowing. Frequent, immediate replenishment of my sales brochures always kept me confident. Bottom line I always knew you would find that buyer, that piece of land with that home that would suit me just fine. Best wishes to you both, thanks for everything and I look forward to other opportunities to work with you both. Last year we began to seriously entertain the idea of relocating to Williamsburg. One afternoon I googled Williamsburg realtors and came across a certain individual's name whom you would expect to retrieve with the above information. After having a couple of superficial conversations with this person, he basically blew me off. Maybe he perceived I wasn't a serious buyer. I got back on the computer and once again began searching for another realtor. As luck would have it, I came across Stone Realty. I gave the agency a call and spoke to Dave Stone for about an hour. We immediately clicked and I could foresee good things happening. Both Kim and Dave demonstrated a good deal of patience in our dealings with them. Neither my wife nor I ever felt rushed, as both of the Stones always had a sympathetic ear. In February, 2012 Patti and I, with much help from Kim and Dave, decided to purchase a new home in Colonial Heritage. Once we reached that conclusion, Dave was a driving force throughout the entire closing process. He was a stern negotiator whose persistence was invaluable to Patti and me. I have bought and sold numerous homes in the past 30 years. Our experience with the Stones was by far the most rewarding encounter we have ever had with any realtor. For that reason alone, I would heartily recommend Stone Realty without any reservations. More importantly, we consider Kim and Dave to be our friends.